When someone visits a blog, they decide whether they should read or run in a few seconds. You likely prefer that they read, so the question is, how can you prevent them from running? You need to cure what I call “back button syndrome,” and here’s how you do it with these 3 trust triggers. People move through the web FAST. And when they stumble on a site that they feel is “shady,” they slam their back button. (Some people won’t even stick around to discover your “reason why.” They won’t even give your blog a fair shot). These sites aren’t shady… they’re just presenting themselves the wrong way. When you use trust triggers, you can prevent your website from losing out on the visitors you rightfully earned… and DESERVE. Again, remember, when people stumble on websites they decide whether they should read or run. One of the ways to get people reading is by triggering trust because when people trust a site, they stick around. It’s that simple. How can you trigger trust? You can use one of these 3 trust triggers. Have you ever been linked by a popular website? A news site? A blog? Anything? Even if you haven’t, it doesn’t matter. Any logo helps build credibility instantly. Logos are one of those trust triggers. Even if people don’t recognize the logo. People like knowing that other companies trust you and your blog. It’s social proof at work. So, feature logos on your blog. You could put them on your about page—like I do at Social Triggers—or you can feature them in your sidebar—much like we do at DIYthemes.com. Before you feature logos, do make sure you’re allowed to do it by asking for permission. 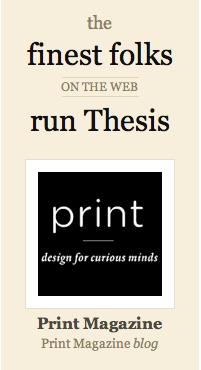 As you know, when people stumble on a blog, they decide whether they should read or run. When they’re uncertain, they’ll look to other people to see what they decided, which means it’s not just about logos… it’s about people too. That’s where blog comments come in. If people stumble on your blog and see a lot of comments, they assume other people trust your site, and thus make the assumption that they should trust your site too. See how large I make my comment count? If you don’t get many blog comments, don’t worry about it. You can dial down the importance of blog comments on your site by not displaying numbers unit you get them. However, if you do get a lot of blog comments, you can dial it up by making your comment counter larger—like I do over at Social Triggers. Look at the picture to the right. Like with blog comments, the number of people who subscribe, follow, or read your site can help you build trust instantly. But first, what’s the difference? Subscriber numbers are people who subscribe to your blog via RSS or Email. But my favorite number is readers. This is quite simply how many people visit your blog. It’s less specific, but it’s the best metric to display when you’re just starting out because it’s usually larger than all of your other numbers. For example, if your site gets around 3,000 unique hits each month, you can easily say that you’ve got 3,000 readers monthly. Now the question is which one should you show? You should show whatever number that proves you’re credible, or in other words, whatever number is the largest (in most cases). Because remember, when the numbers are small, and insignificant, it can have the reverse effect. Instead of building credibility, it can erode it. Now that I showed you these 3 trust triggers, which one do you plan on using on your site? Remember, even if you’re legit, and you’re running a real business that truly helps people, new visitors don’t necessarily know that. You’ve got to help them “see” that you’re the real deal in just a few seconds and these trust triggers can help. And then, the rest is up to you. Once you get people to stick around, your next goal is to convert them into loyal subscribers. The feature box works perfectly for that.